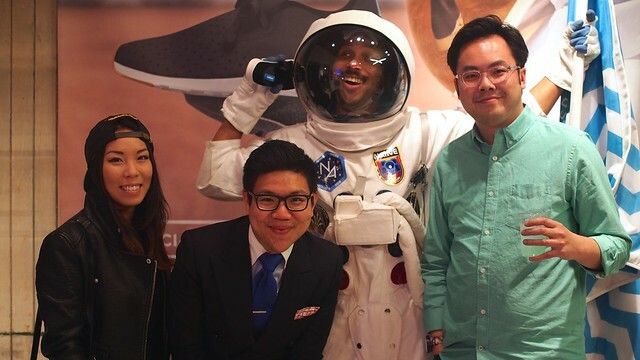 Native Shoes' Apollo shoe launch party at El Kartel shop in Chinatown on March 5, 2015. 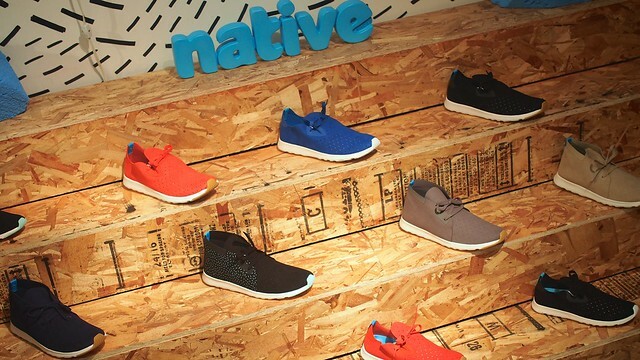 Founded in Vancouver, Native Shoes continues to grow and evolve from its familiar image of comfort, colourfulness, and those little holes. 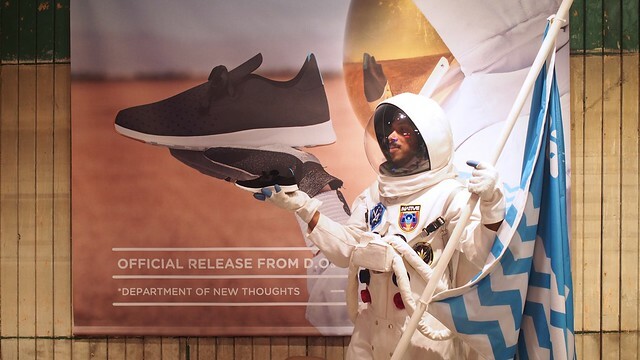 Native recently launched the Apollo line of shoes complete with outer space theme of light on your feet travel and stylish flourishes. Apollo looks to transcend their modern design aesthetic of the past and future meeting in footwear with the design philosophy of "Future Classics". Both the "Moc" and "Chukka" Apollo designs are unsurprisingly very light (think "anti-gravity", made from foam-injected, molded ethylene-vinyl acetate midsoles) with the same trademark silhouettes. In so keeping with their motto of "Keep it Lite", the shoes are sleek and casual in construction, building off the everyday walk about styles. As such, the Apollo Moc combines the functionality and style of a sneaker with the slip-on ease and comfort of a moccasin, while the Chukka aims for the more traditional street shoe market with a firmer fit of functionality. The idea is the shoe can be worn anywhere and by anyone. Maybe even to the moon. 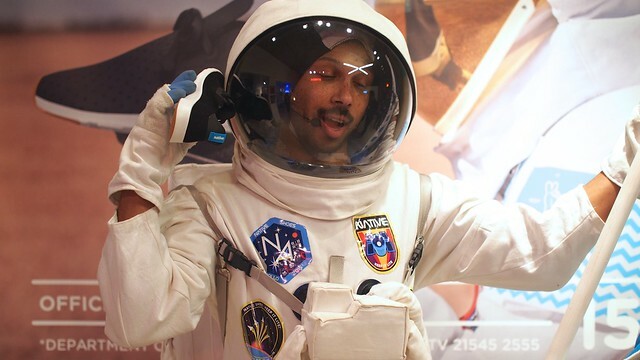 ♫ "Ground control to Major Tom." Fashionistas Michelle Yu and Viranlly Liemena, moon man, and myself.